For more than 65 years, St. Tammany Parish Hospital has been committed to providing the most comprehensive care for patients across the Northshore. And through our clinically integrated partnership with Ochsner Health System, we continue to shape the future of health. 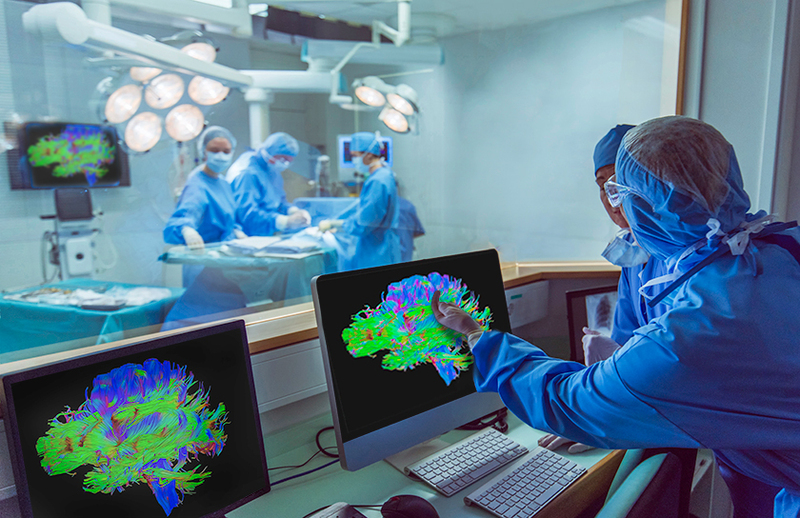 This commitment has involved continually investing in our exceptional facilities and the most advanced technology, including Synaptive Brain Matter and Modus V for highly complex brain surgeries. Our da Vinci® Surgical Systems enable our accomplished surgeons to perform minimally invasive procedures for less pain and faster recovery. And our biplane technology enables our interventional cardiologists and radiologists to perform delicate heart and spine procedures. Leading the way is an experienced team of surgeons including our own Northlake Surgical Associates, St. Tammany Quality Network and our partners from Ochsner Health System. Overall, we’ve earned more accolades than any other provider on the Northshore for quality, safety and patient experience. It’s the result of blending steady innovation with an approach to care that will always remain genuinely personal.